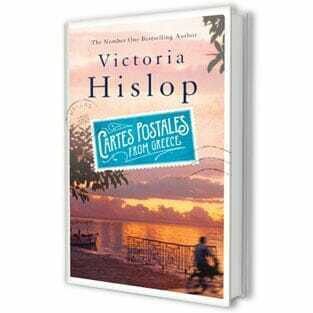 The Sunday Times best-seller, Cartes Postales from Greece is a new, ground-breaking novel from Victoria Hislop, the internationally acclaimed bestselling author of The Island, The Return, The Thread, and The Sunrise. Week after week, colourful postcards from Greece arrive at Ellie’s dreary flat in London. They are each signed with the initial, ‘A’. However, with no return address, Ellie cannot forward them on to the rightful owner. Nevertheless, the postcards inspire Ellie to see Greece for herself. On the morning of her departure, a blue notebook arrives that belongs to ‘A’ whom Ellie discovers is a man who was stood-up by the love of his life at a small airport in the Peloponnese. The journal includes short stories he’s heard along his travels around Greece, reverently illuminated by beautiful photographs, as he nurses his heart back to life. 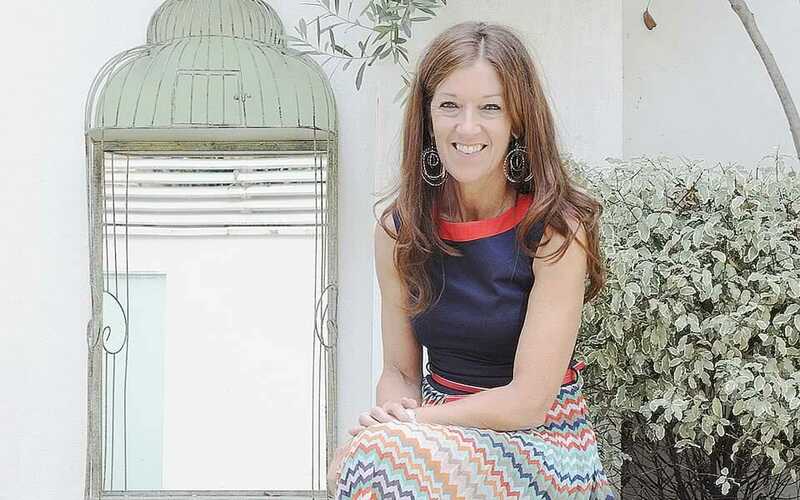 This latest offering by Victoria Hislop will stay with you a long time after the last page has turned. AUTHORLINK: Ms Hislop, thank you for talking to us today about Cartes Postale from Greece, which we thoroughly enjoyed. You create a strong sense of place and charming, moreish tales which leave your readers wanting more. We love how Cartes Postale from Greece departs from established precedent and includes vignettes of coloured photographs to accompany each story – some solemn and gripping, others nostalgic and hopeful. What came first, the photos, depicted as ‘cartes postale’ i.e. postcards (taken by the talented photographer, Alexandros Kakolyris), or the stories? HISLOP: They were developed together. I travelled with the photographer so that he was there at the moment of inspiration for each story. This is why the photographs are unusual, I think. It would have been very artificial to send a photographer off to find illustrations to match my stories once I had written them – and in many cases it would have been impossible. The photos and stories were simultaneously inspired. AUTHORLINK: Lovely. Writing letters on paper stationery is a dying art nowadays. It’s the same with postcards, which are even more redundant, given the advent of cameras in mobile phones and Instagram. Yet, cartes postale are still available in every souvenir shop in Greece. Do you prefer paper photos or e-photos? Likewise, paper books or e-books? Or both? HISLOP: It’s so easy and simple for all of us to take photos on our phones – and I do it all the time, almost to keep a diary of life (though I still write a paper diary of course). But when there is a special photo, or something I want to frame, of course I will print something out. I prefer paper books – because they can be shared, they have covers, you can make notes in them – they are with you for life. Though I do download books too (great for travelling – how else do you carry fifty books in your hand luggage). If I like a book that I have downloaded – I always buy the paper copy after.